Clocks are everywhere. From schools, to organizations, to warehouses, to malls... everywhere you look you see the time. In institutions where there are many clocks, managing them can be considered a time waster and often times simply goes undone. 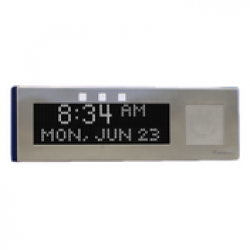 IP Clocks connect to your existing IP network and are kept current automatically by your network clock. 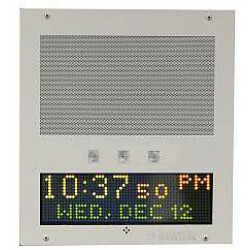 Combining an IP Clock with an IP speaker system is an effective way to broadcast information to where people are. IP clocks in the education market is a lucrative business. Most schools have a clock in each classroom and meeting area and will also have a centralized paging network. Introducing a school district to IP intercoms including IP clocks saves time in administration and maintenance and unifies communication into one IP network. Brands such as Advanced Network Devices, Valcom , and CyberData offer IP clocks specifically suited for educational institutions. IP Clocks can be standalone clocks or they can include IP speakers and microphones for one or two-way communication. Advanced Network Devices IP Clocks include the IP Clock, IP speaker, microphone and the ability to scroll text - a truly unified messaging system. Combining your IP Clock and IP speakers is a fantastic way to create an all-inclusive communication method within your company. 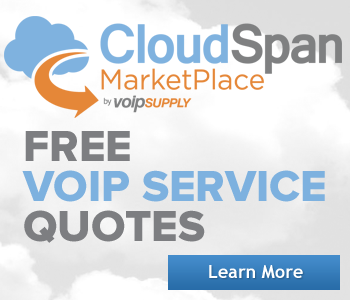 Whether your application for indoor or outdoor use, VoIP Supply has the IP clock you need for the most complete notification network you can imagine. The ANETD IPSWD-SM-RWB is an 8in IP speaker embedded into a white 12" x 12" surface mounted wall hanging. It includes a built in microphone for 2 way talkback, a digital clock which can also scroll text, as well as 3 red, white, and blue LED strobe flashers for emergency communication. 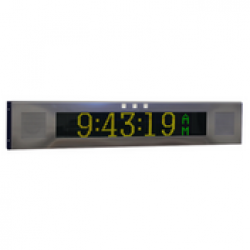 The IPCSL-W-RWB is a Multicast/SIP large IP Clock with bright white display and flashers is capable of audio, clock, scrolling text, flashers, auto dimming, microphone, and a timer/stopwatch. The IPCSL-W-RWB-IC is a Multicast/SIP large IP Clock with bright white display and flashers is capable of audio, clock, scrolling text, flashers, auto dimming, microphone, and a timer/stopwatch. 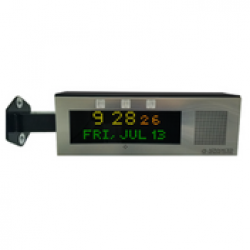 IPCDS-RWB is a double-sided IP clock with wall mount and flashers. It's capable of audio, red/white/blue flashers, clock, timer/stopwatch, scrolling text, microphone, and auto-dimming. 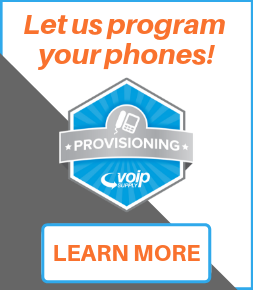 It's compatible with all major IP based software (except Singlewire; see IPCDS-RWB-IC) and several PBX systems. 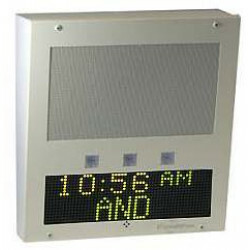 IPCDS-RWB-IC is a double sided IP clock with wall mount and flashers. 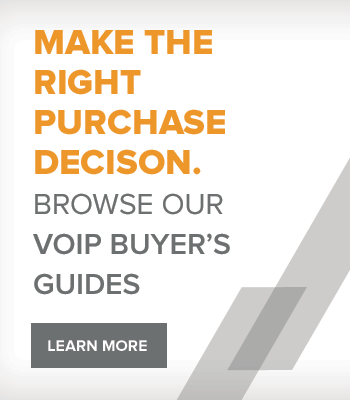 It's capable of audio, red/white/blue flashers, clock, timer/stopwatch, scrolling text, microphone, and auto-dimming.It's compatible with all major IP based software and several PBX system. The ANETD IPSWD-FM-RWB is an 8in IP speaker embedded into a white 12" x 12" flush mounted wall hanging. It includes a built in microphone for 2 way talkback, a digital clock which can also scroll text, as well as 3 red, white, and blue LED strobe flashers for emergency communication. 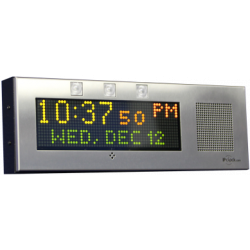 The IPSIGNL-RWB-IC is an IP speaker, IP clock, and digital signboard designed for use with Informacast, which allows you to mass communicate using your existing IP Phone system and included web server software. It includes red, white, and blue flashing lights to alert onlookers in the event of an emergency. The Advanced Network Devices IPCSS-RWB is a small digital PoE synchronized clock and two-way intercom with integrated 4in speaker that requires only an RJ-45 connector to connect to existing data networks to be used as an IP Paging endpoint. This model features integrated strobe flashers for use during emergency or alerts.